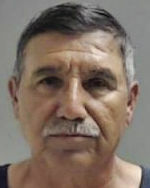 A former bus driver charged with sexually abusing students he drove to and from school faced two new charges Tuesday. Jose Luis Garza, 59, was arraigned on two counts of indecency with a child through sexual contact, a second degree felony carrying a sentence of up to 20 years in prison if convicted. The Hidalgo County Sheriff’s Office began investigating Garza after his then-employer, IDEA Mission North, contacted law enforcement April 20 following a student’s outcry of abuse against him. The public charter school district terminated Garza three days later and HCSO arrested him May 10 on three counts of continuous sexual abuse of a child, a first degree felony carrying a life sentence. Three female IDEA students aged 5 to 8-years-old alleged Garza sexually assaulted them with his fingers while they rode the bus. The two new charges stem from allegations made by a 9-year-old and 8-year-old girl, both of whom are in second grade, according to probable cause affidavits. The first alleges that Garza, while on the bus, touched her inappropriately over her clothing “several times” from August 2017 to this April. The second alleges Garza also touched her inappropriately “several times over and under the clothing” while on the bus from August 2016 through this April. “The new charges brought by the sheriff’s (office) today are just a symptom of the greater problem or illness that infects law enforcement when you have a rabid course of investigation and a group of individuals that go into a frenzy to charge a man who has otherwise lived an exemplary life,” Garcia, who replaced Garza’s previous attorney, said Tuesday. “What the sheriff’s office has done should cause great pause to all of us who stand for justice and liberty,” Garcia said, adding that the evidence against his client was flimsy. Continued charges keep clients in jail as punishment until they are found innocent, he added. Garza may face at least one more charge, given that a sixth victim was identified in probable cause affidavits. Precinct 3, Place 2 Justice of the Peace Marcos Ochoa set bond on each of the new counts at $50,000, and Garza remains in the custody of Hidalgo County jail on a total bond of $420,000.